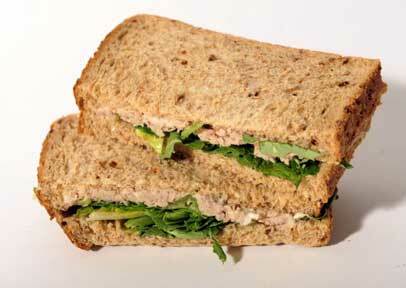 HARD-WORKING Brits who no longer have time to eat breakfast at home have sparked a morning sandwich sales boom. The shift has created a vast “out of home breakfast” market worth £2.5billion and growing at 6.6 per cent per year. Breakfast-style sarnies are the fastest-growing area of the UK sandwich market — with ten times the demand for regular varieties. Boo are the heroes and villains of 2012? THE Christmas panto season is in full swing — what better time for Sun City to roll out its Business Heroes and Villains of 2012! BRITAIN needs champions and in a turbulent year drinks giant DIAGEO has stood head and shoulders above its rivals in the world — luckily for us as it was one of our six Sun City stocks to follow for 2012. Diageo sells Guinness to Africa and Johnnie Walker to the Chinese and is rather good at it, with annual profits up 32 per cent. Arise Sir Paul? A knighthood beckons. SIR Mervyn King ripped into Britain’s banks yesterday — claiming they need to raise £35billion to get back in the black. The BANK OF ENGLAND Governor said they were woefully underestimating potential losses from Europe. And he warned they faced billions more pounds of potential fines and penalties from PPI and Libor. In all, banks may need to raise another £35billion to shore up their balance sheets — and guard against disaster. CORPORATE sponsorship is breaking new ground as TALKTALK funds … lollipop ladies. The self-styled “value” telecoms group is in talks with Wandsworth Council in South West London. Initially, TalkTalk expects to pay for three school crossing patrols but sources claim up to half of the part-time council workers could be funded by the firm. Talks to confirm a deal took place yesterday. A TalkTalk spokesman said the move was designed to promote its HomeSafe internet security product. He told The Sun: “We’re like the Green Cross Code of the internet.” TalkTalk sponsored two patrols in Bedfordshire this summer. The tie-up comes four months after the Tory-led council sparked fury by saying it couldn’t afford £198,000 a year for school crossing patrols. Only this week Wandsworth announced plans to spend £35,000 on new trees. STAFF at bookies CORAL will lose part of their bonus unless they sign up to new working terms this month. The company wants to change working hours, lose all overtime pay and lay off cashiers as part of a new “optimum staff model”. It is also scrapping cleaners and forcing staff to do the work — as revealed by The Sun. A memo reveals that if staff at its 1,650 shops sign up to the changes by December 1, they will qualify for “all four quarters of the new bonus scheme”. Those that wait until the end of the 90-day consultation next month will get three quarters.